B1, Redrock Elegance, Near Marna Petrol Pump, Siolim Mapusa, Shree Ganeshpuri, Goa - 403517, India. The humble beginnings of Mr. Riyaz Somani, our Group Founder and Leader has laid the basis for a strong value system. After years of rewarding and proficient careers in diverse businesses during which he garnered acute business aspects and knowledge, he found his niche in the Construction Industry in the year 2010 when he formed Redrock Constructions LLP. The venture grew to become one of the preferred companies in Realty dealing in high end property transactions and quality homes. The business arm successfully completed the construction of Redrock Elegance and Redrock Vistas in North Goa. 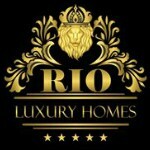 The Company recently launched Rio Luxury Homes Pvt. Ltd. to build Luxury residences which is a rapidly growing segment in Construction today. Rio Luxury Homes have launched a premium project SKYVILLAS in the heart of North Goa at Candolim with similar projects in the pipeline under this Luxury Brand.